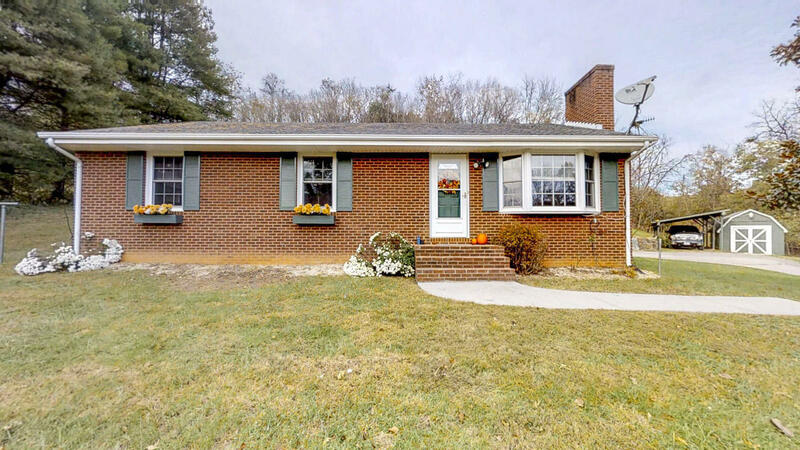 Looking for acreage, ready to move in conditions AND in desired Botetourt location 10 minutes from Daleville? Found! 3BR 2Bath situated with privacy and pastoral views. A concrete driveway leads you to your hillside Home with hardwood floors on entry, new carpet in bedrooms, HVAC new in 2017 for entry level. Well pump replaced 2017. Spacious kitchen that adjoins dining area and rear patio. Master bedroom has en suite bath. Lower level Office and Large Rec Room heated by wood stove. Unfinished space with lots of storage as well. Take an even closer look with the Virtual Tour and come take a look in person!